Have some time to kill and want to play some free and fun online puzzle games? 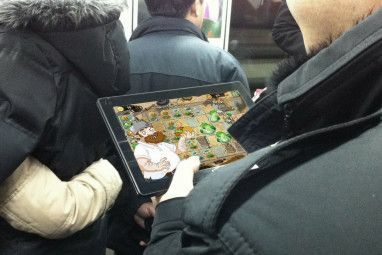 There is no end to the number of free multi-level puzzle games out there that will challenge you. From physics to word games, from math to logic – there is something in this list for everyone. 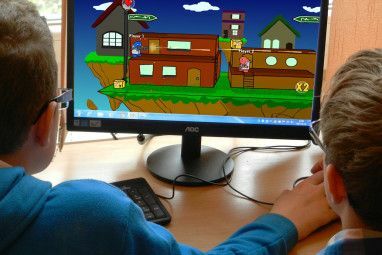 Read on to discover over 20 addictive free and fun online puzzle games that will have you glued to your computer screen, as you try to make it from one level to the next. Why not give your brain a workout, and have a little fun while you’re at it. Doodle God is as unique a puzzle as they come. Start with the four main elements, earth, wind, water and fire, and discover 111 more elements through different combinations. Cheesy music aside, this is one of the best Picross games out there. Make more than 5 mistakes and you have to start all over again. The game consists of 100 levels and 5 difficulties. Stack different shapes on top of each other as fast as possible without the stacks falling over. Don’t forget to check out its predecessor, Super Stacker. Take a slightly different approach to stacking by using a series of shapes, which you can pick up, rotate and balance. Don’t forge to check out its predecessor, Perfect Balance. For a reverse experience in stacking, try this gravity defying game, where the aim of the game is to stack different shapes in outerspace. Use the arrow keys, rotate the screen to get the little ball to the big bubble. Watch out for spiky balls on the way. The game consists of 40 levels and a level editor. Release matching cogs into a machine next to each other. Lining up three cogs of the same colour will make them disappear. If the cogs overflow, the game will end. Rotate the machine using the arrow keys and use the spacebar to release the cogs. Rotate shapes so that matching colours are joined together. Try to get it done in the minimum number of moves allotted to each level. More entertaiment than puzzle, but this game deserves a mention. Play the part of a bartender and mix your own drinks, add lemon, ice, shake, and give it a try. The bartender’s reactions to some of the more potent mixes is hilarious. Factory Balls is an addictive game of logic in which you are given a white ball and have to replicate the example coloured ball by dipping it in paint, spray painting it, growing grass and plants on it and more. The first installment consists of 14 levels, the second of 30, and the third of 30. Shoot as many spies in each level, using as few bullets as possible. The bullets ricochet of walls and ledges, making it possible to kill more than one spy at a time. The game consists of 50 levels. Also be sure to check out the games predecessor for more ricocheting, albeit violent, fun. If you prefer bombs to bullets, try out Fragger. Lob grenades at the enemy, blowing them up in as few throws as possible. The game consists of 30 levels and 3 difficulties. If you have a total aversion to violence, Vase Breaker is for you. Break as many vases as possible, using as few stones as possible. The stones bounce of walls and ledges making it easy to hit more than one vase at a time. The game consists of 50 levels. Light Bot is a cute puzzle in which you guide a robot through obstacles, by giving it commands. Get the robot to the blue panel and light it up. Another great physics based puzzle in which you have to use various tools to create a vehicle that gets your wheel to the goal. Be sure to check out its predecessor. 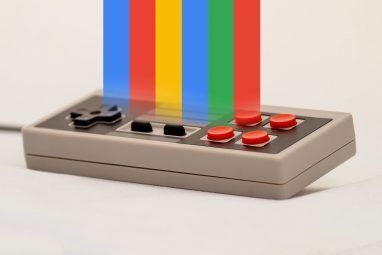 Remove all the red blocks from the screen by clicking on them. Sounds easy, but the further you go in the game it isn’t. Once green blocks are introduced, make sure you don’t lose any of them. The game consists of 45 levels. If you prefer word puzzles, you’ll love Funny Farm. Try to complete the map of words that are connected to each other. The puzzle starts with just one phrase. You fill in the rest. Also be sure to check out the similar, but smaller game, Lateral. Physics buffs will love Electric Box. In each level, you are given a combination of items, which you must place on the board, in order to conduct electricity and supply the target with power. The graphics may be simple but the game isn’t. Slide tiles around to move from one room to the next, retrieve a red key and go through the door to the next level. 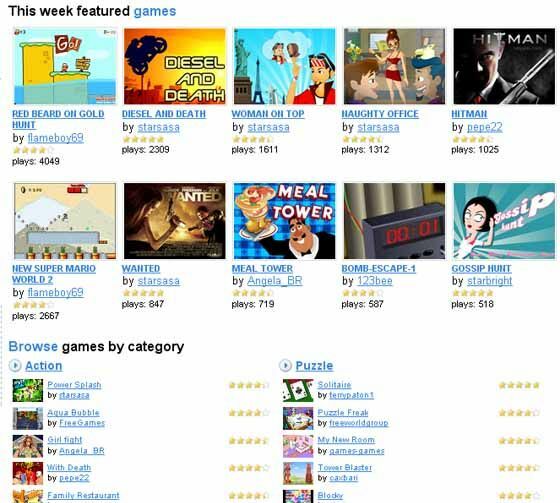 What are your favourite free online puzzle games? Let us know in the comments. Great Post! Thanks for sharing this outstanding list of games with us. Great list but I have to mention Electric Box 2. It takes the concept of the first game to a far superior level! Too much fun! A great list! I think I will be busy like Saikat. I'm going to start procrastinating tomorrow, I promise. Great post Nancy, now I am holding you responsible if I start procrastinating on work 'cause I am busy playing these! :) I really dig Funny Farm.